Tidewater Together, Scholar-in-Residence Weekend is presented by the Milton “Mickey” Kramer Scholar-in-Residence Fund, United Jewish Federation of Tidewater, Tidewater Synagogue Leadership Council, and the Board of Rabbis and Cantors of Hampton Roads, and as part of the Simon Family JCC’s Lee and Bernard Jaffe Family Jewish Book Festival, in partnership with the Jewish Book Council. Focusing on Rabbi Telushkin’s newly revised edition of Words That Hurt, Words That Heal—a guide on how choosing the right words can enrich relationships and offer insight to improve every facet of our lives – the weekend is open to the entire community, inclusive of all ages, genders, religious affiliations, and degrees of observance. • The Nine Questions People Ask About Judaism, co-authored with Dennis Prager. 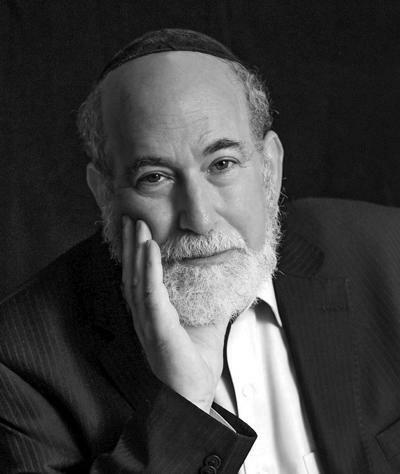 Known as “America’s Rabbi” and one of the 50 best speakers in the United States, he is a New York Times bestselling author. In his newly revised edition of Words That Hurt, Words That Heal Rabbi Telushkin focuses on the words that are used in public and in private, revealing their tremendous power to shape relationships. With wit and wide-ranging intelligence, he explains the harm in spreading gossip, rumors, or others’ secrets, and how unfair anger, excessive criticism, or lying undermines true communication. Bringing this classic book into present day, Rabbi Telushkin notes that when it was originally written, social media was not even a concept, the internet was in its infancy, and so the spread of information – accurate or not – was not a particle of what it is today. “In a time when slurs and slights are displacing civility and courtesy (Words That Hurt, Words That Heal), reminds us that the words we choose have an impact on others—and send a message about us,” says Adam Grant, New York Times bestselling author of Give and Take and Originals. Admission to Tidewater Together is free unless noted. For more information, or to RSVP (required for each event), please call 757-321-2304.